It’s been a while since I’ve been able to buy a proper meal with a purple note. Back in primary school, $2 was enough to buy a meal, a drink, and have some coins left to accumulate over the week so I could treat myself to that fancy new shaker pencil at the school bookshop. Now, with $2, I settle for perhaps a hotdog bun, or just a drink. Never did I expect to find a stall still selling noodles of comparable size to those we’d typically pay over $3 for in a hawker centre for only $2. 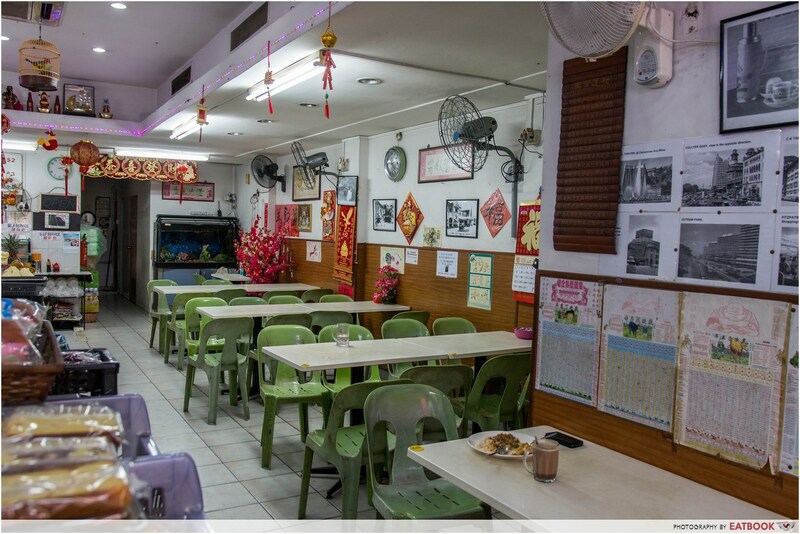 Uncle Ah Cai from Frenzlink Cafeteria has been waking up every day at 3am to get to his stall by 4am in order to prepare all the food. He opens shop at 6am, and everything is usually sold out by 3pm when he calls it a day. In all the 24 years he has been there, he has never raised the price, and says he never will. 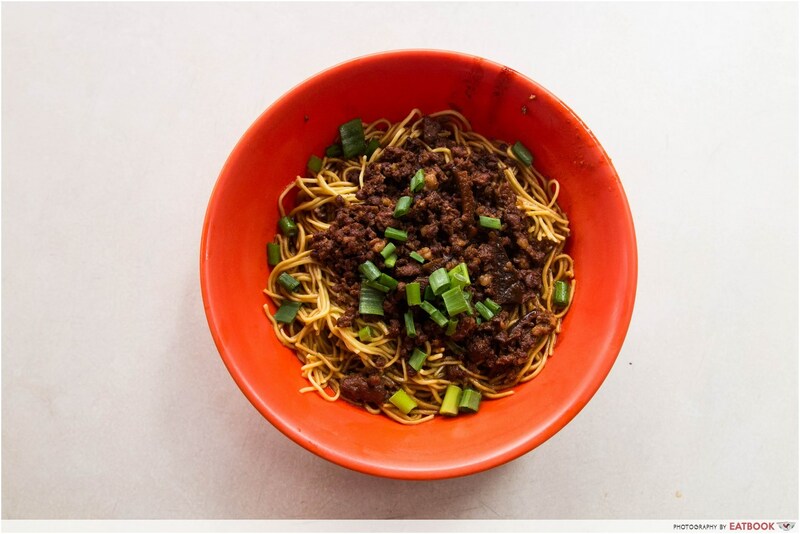 Frenzlink cafeteria offers eight options, and they’re all noodle dishes. Being only $2 each, we decided to try them all. 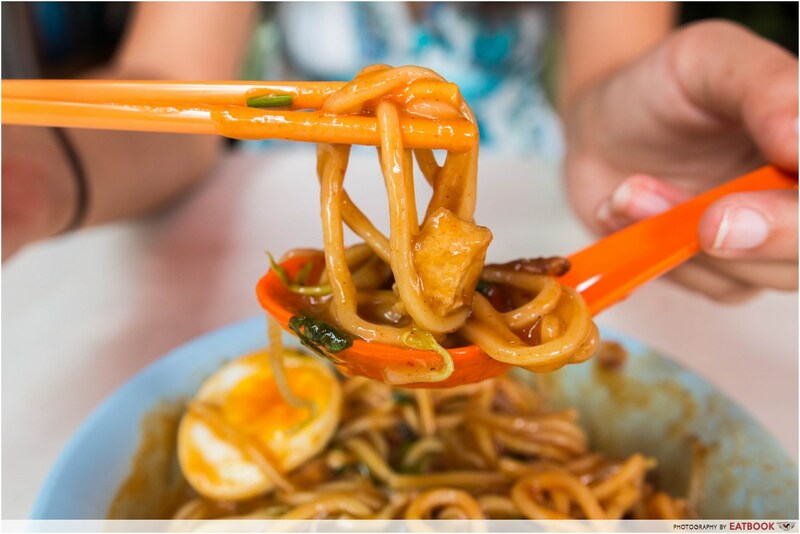 Heading down to Frenzlink, we’d heard their Wanton Mee ($2) was the most popular and is often sold out early. True to word, arriving before the lunch crowd well before noon, the wanton mee was already gone, so we settled for the remaining seven dishes. We decided to try the three spicier dishes that came with sambal first before relieving our tongues with the remaining four dishes. We started off with Mee Rebus ($2), which was hands down my favourite dish of the day. 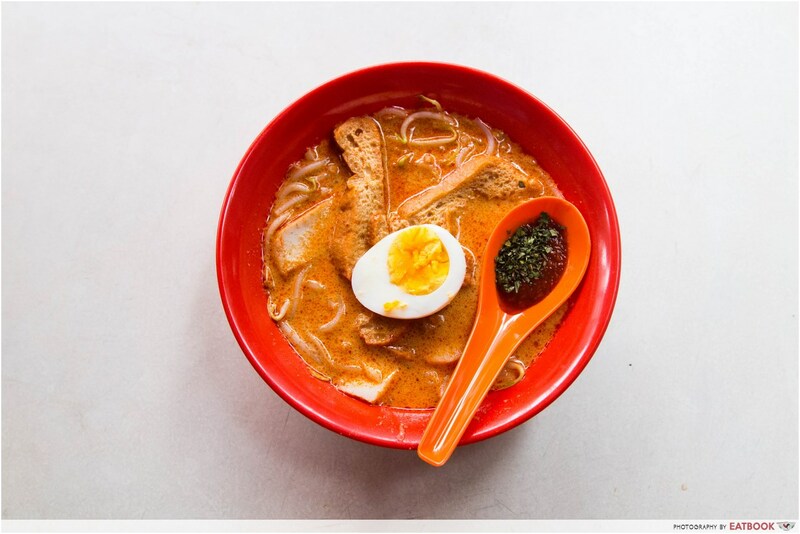 The gravy of the mee rebus was rich and thick, coating the back of our spoons and soaking into the noodles. It was missing a good squeeze of lime, but other than that, the dish was pretty well put together. 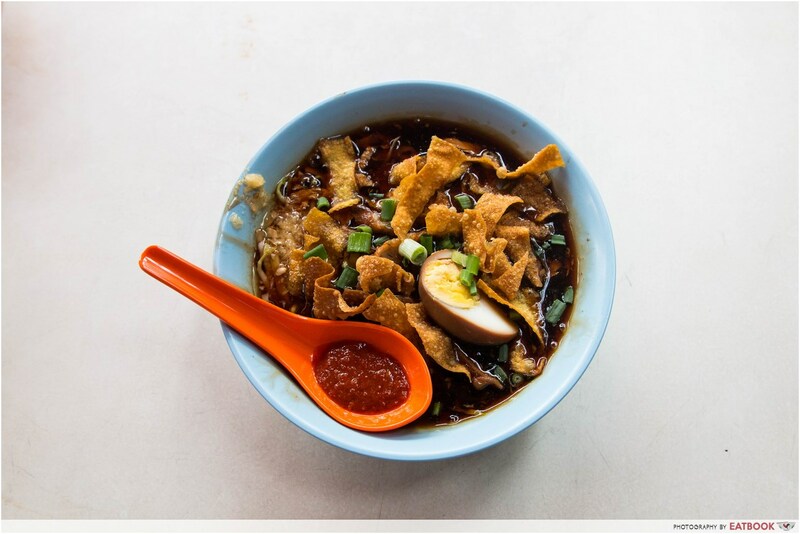 There was a generous serving of noodles, bean curd, egg and bean sprouts, as well as cut green chilli, which added a nice kick to the dish even though we felt that the gravy itself could have been a tad spicier. We next decided to go for Laksa ($2). 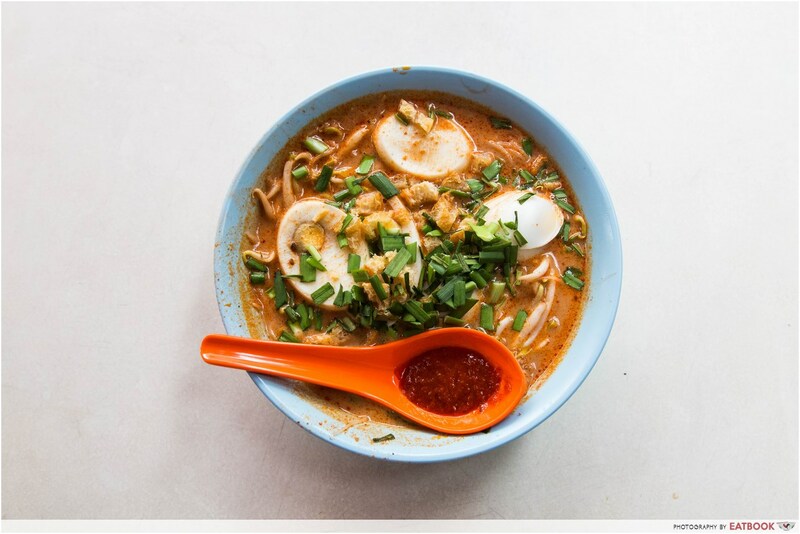 Any good laksa is comprised of at least these few ingredients; a spicy broth with undertones of coconut, and of course, the flavour from the laksa leaves, thick rice noodles, prawns, taupok, egg, and preferably some additional sambal on the side. 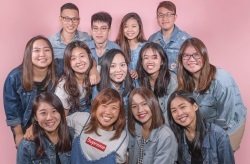 Frenzlink, overall, did a decent job. My only qualm was that the laksa contained no prawns, cockles, or any semblance of seafood, and the sambal provided was more sweet than spicy, making the broth slightly lacking in terms of that special kick. It did, however, deliver in terms of the strong coconut and laksa flavours and was also one of the better dishes of the day. 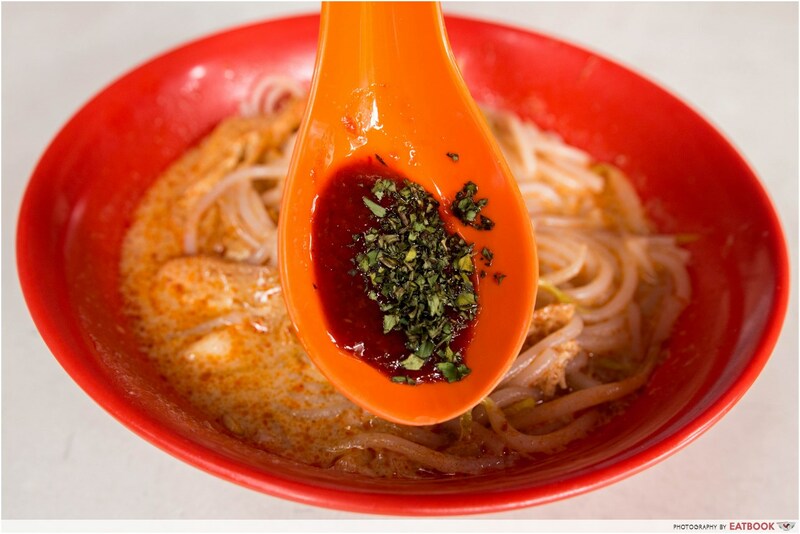 The last of the spicy dishes, Mee Siam ($2) surprised us the most – but not in a good way. 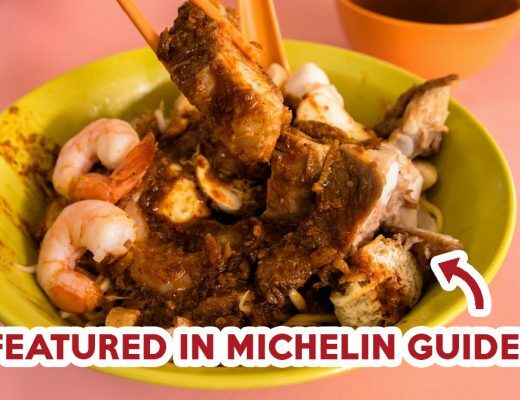 The spiciest of the three, the gravy of the mee siam was strange, to say the least. It was extremely thin and watery and tasted like plain coconut milk, lacking the usual flavour of soy beans and shrimp. 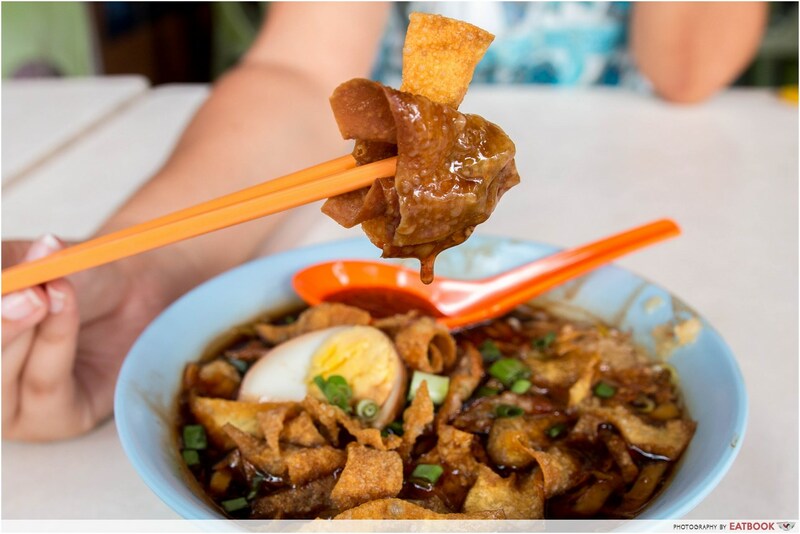 When I think of Lor Mee ($2), I typically think of just thick flat noodles in a thick and sticky gravy. Frenzlink one-upped this with the addition of crispy wanton skins, adding some texture in the form of a good crunch. The gravy itself was pretty standard – a tad too salty for my liking, but well enjoyed by the rest. 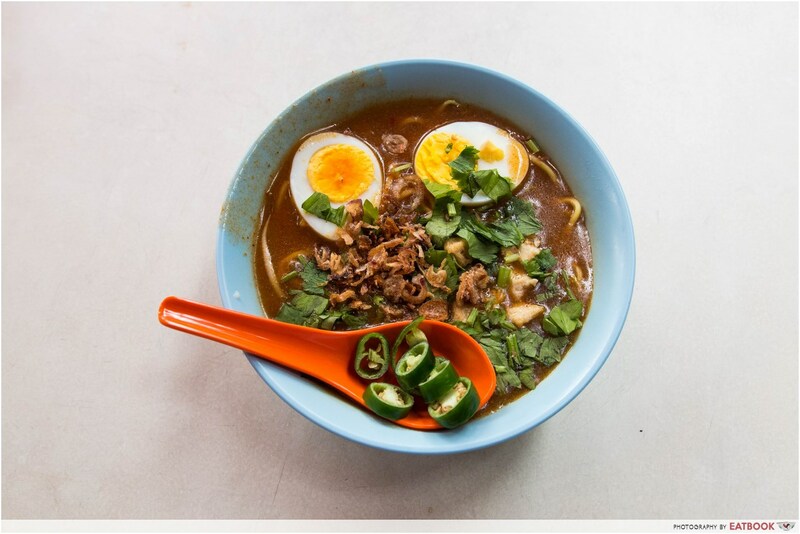 We heard that sometimes, the lor mee comes with braised pork belly as well. 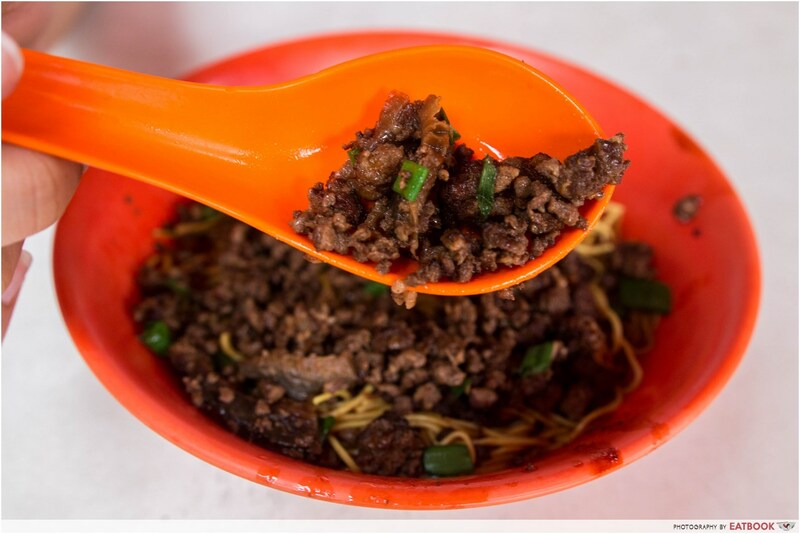 Bak Chor Mee ($2) was beyond generous with meat and mushrooms. The meat and mushrooms were overly smoky and lacked a vinegar flavour. The noodles were also plentiful, but were a bit too dry, although the addition of the soup that came with it made the noodles springy again. 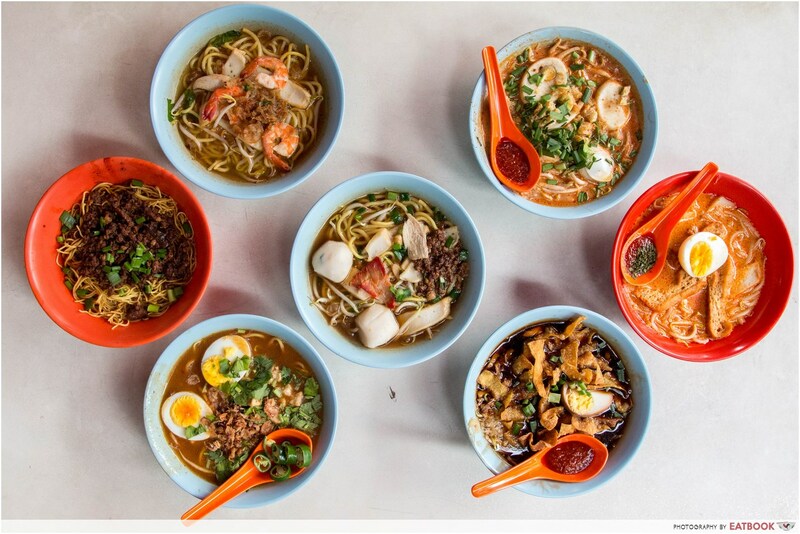 Prawn Mee ($2) and Fishball Noodles ($2) were very similar, with a few differences in terms of toppings. 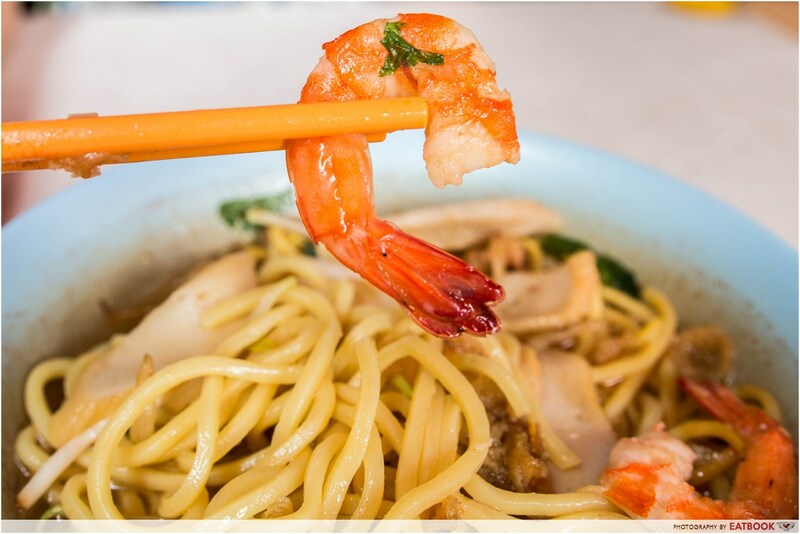 The prawn mee came with three skimpy half prawns. While they did absorb the flavour of the broth, they really weren’t enough to justify the name of the dish. It also came with fish cake and a lone piece of chicken. The broth itself was decent but tasted more heavily salted rather than boiled with actual prawns. 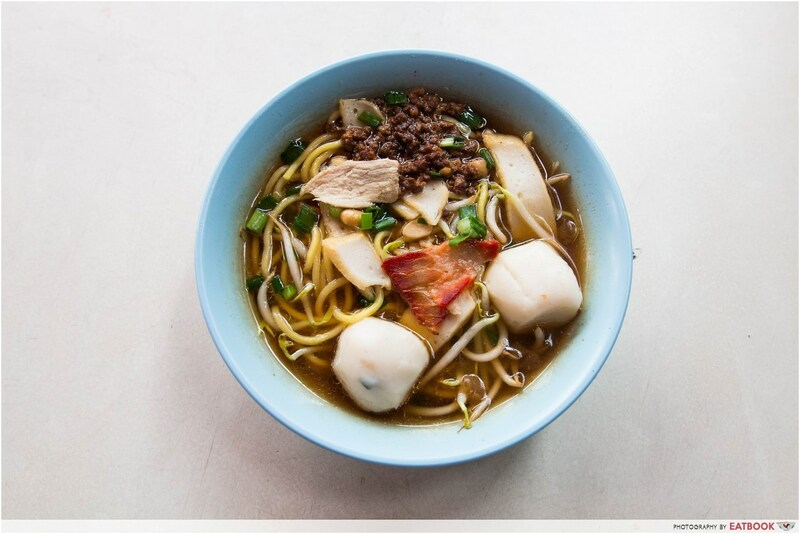 Fishball noodles were the same yellow noodles served in the same broth. The fish balls were plump, bouncy, and pretty tasty. This time, in addition to the fish cake, there was a lone piece of char siew and chicken, as well as some minced meat. 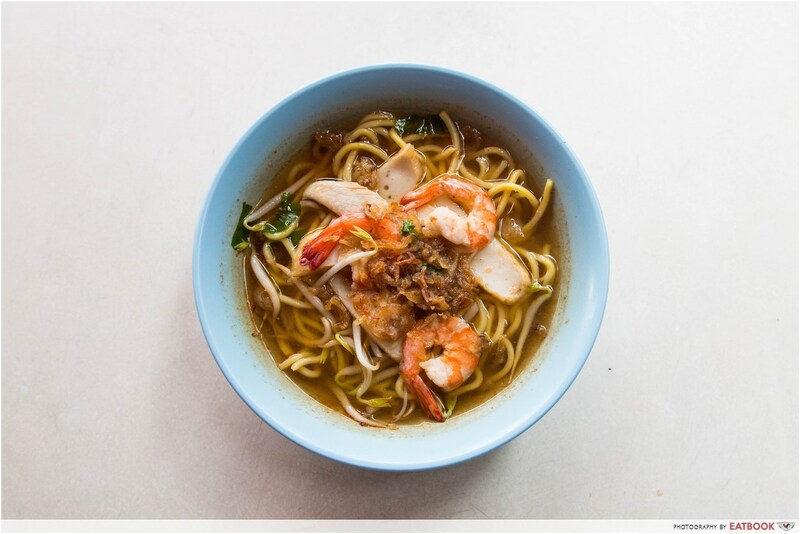 As with the lor mee and prawn mee, the ingredients added seem to be a bit of a lucky draw at Frenzlink. 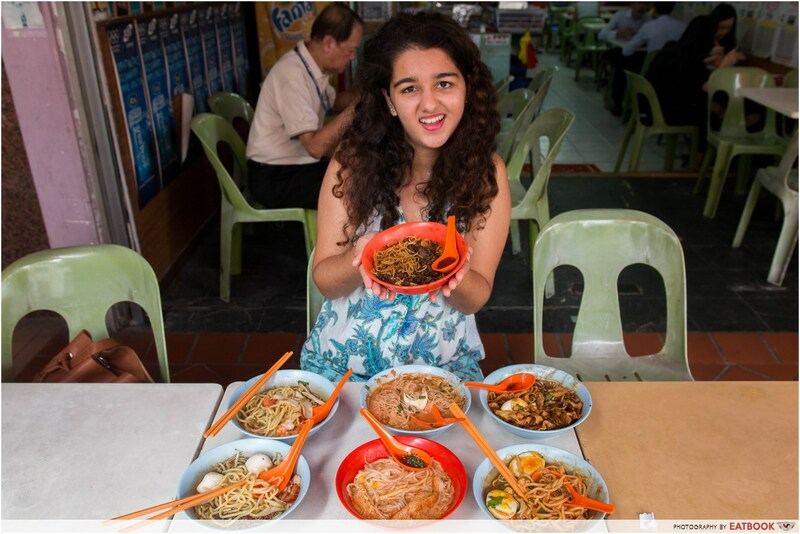 Overall, though, the fishball noodles were a hit. 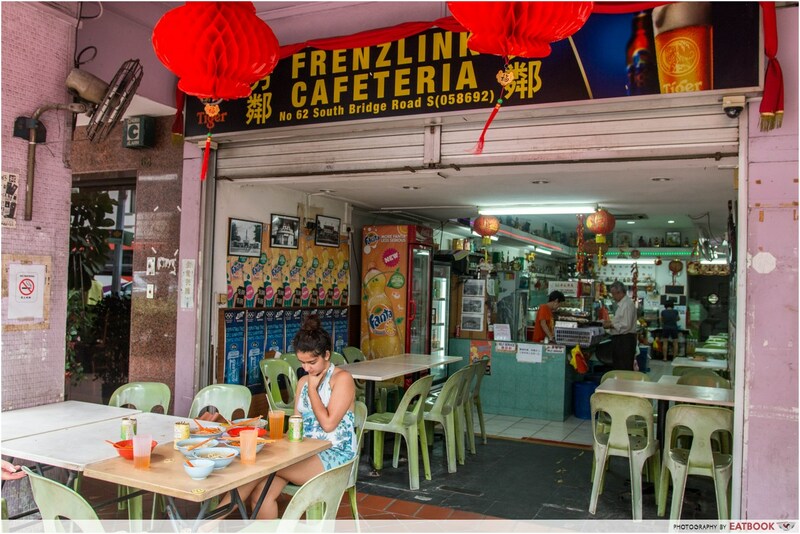 Frenzlink cafeteria is a serious blast from the past – cheap food, simple yet comfortable ambience. We sat outdoors, but even that was pleasant. With fans on a high enough speed and the lack of insects, it was a lot better than your typical kopitiam get-up. 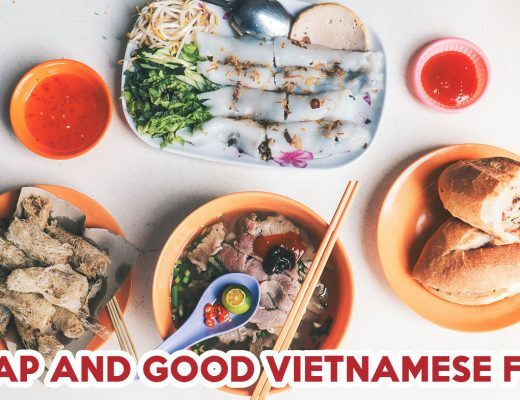 We ordered all seven dishes at one go and the service was impeccable – the stall owner was unfazed and efficiently put out one dish after the other in less than five minutes. 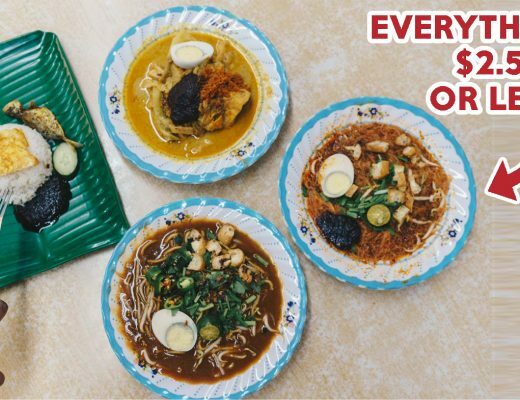 Frenzlink also has two neighbouring stalls within the cafeteria – one serving nasi padang, and the other a drink stall. While some of the ingredients were pretty random and there were some dishes I’d be happy to never have again, there were some good finds as well, especially for the tiny price tag. So if you’re in the CBD and running short of cash, grab your friends and bring them over to Frenzlink for a hearty meal that won’t burn a hole in your pocket!